Have you got your eye on an account executive position? In addition to a strong resume, you need an outstanding account executive cover letter to land a job interview. Finding new clients and building successful, long-lasting business relationships rests on your ability to communicate effectively – so let’s take a look at how you can construct a clear, concise and well-written cover letter. Or, start from the beginning and brush up on your writing skills with our step-by-step guide to making cover letters. Looking for careers in other industries? Peruse through more examples and thorough guides on cover letter composition. My name is (YOUR NAME), and I am a NASP certified Account Executive with 3 years of experience acquiring clients and managing business partnerships in varying industries, such as radio, TV, and healthcare. Although working at SVC Health has been beneficial to my professional development, I would like to apply for the Account Executive position at (COMPANY NAME). Given its worldwide reputation in retaining business partnerships and workplace culture, I have long aspired to be a part of (COMPANY NAME). Not only is it recognized worldwide as one of the best places to work, its reputation in retaining business partnerships is also well-known in the sales industry. (COMPANY NAME) is leading the way forward in cloud computing software, which is a dynamic and rapidly growing market with incredible potential in sales. In addition, I admire (COMPANY NAME)’s commitment to giving employees ample opportunities for growth. I would be happy to contribute my expertise in overseeing accounts at (COMPANY NAME). 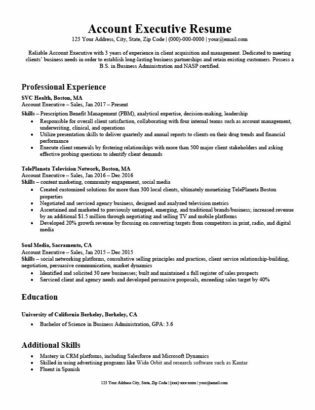 Potentially working at (COMPANY NAME) is exciting, and I am eager to discuss the job details further. Please contact me at [PHONE] or via email at [EMAIL] if you need any other information regarding my application. Thank you for your time and consideration. I look forward to hearing from you. You may be ready to attract clients at your new potential job, but first, you need to attract the employer with a superb cover letter. Keep reading these tips for expert advice on how you can achieve that. 1. Craft a meaningful introduction. There are multiple ways you can go about making an impressive introduction, such as using a personal story. In our sample, the candidate made it personal by mentioning their goals. Let’s take a look at the following example and break down each sentence. The candidate gets straight to the point in the first sentence, stating their name, current job title, years of experience, and what they specialize in. My name is (YOUR NAME), and I am a NASP certified Account Executive with 3 years of experience acquiring clients and managing business partnerships in varying industries, such as radio, TV, and healthcare. In the second sentence, state what position you’re applying for, or alternatively, how you found out about the job. Although working at SVC Health has been beneficial to my professional development, I would like to apply for the Account Executive position at (COMPANY NAME). The third sentence should mention what drew you to the company. Given its worldwide reputation in retaining business partnerships and workplace culture, I have long aspired to be a part of (COMPANY NAME). In the fourth sentence, elaborate on why you want to work for the company. Finally, end the introduction with any research you’ve done about the company and how it resonates with you. Not only is it recognized worldwide as one of the best places to work, its reputation in retaining business partnerships is also well-known in the sales industry. Avoid generic statements like “Working here has been a long-term goal of mine,” without backing them up. Instead, make statements that are more specific to the company. 2. Use bullet points in the body paragraph. 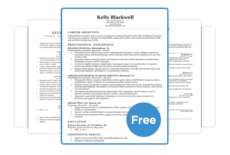 Your cover letter should highlight your top achievements mentioned in the resume. Choose ones that you think are the most important or relevant to the job, and create 3-4 bullet points to grab the employer’s attention. Why are bullet points so important, exactly? First, they make it easier for the hiring manager to read. Cover letters with too many paragraphs and no breakup of text will often bore the reader. People are generally drawn to bullet points, so use them to bring attention to anything you want the hiring manager to notice immediately. Bullet points are also useful when summarizing what’s on your resume. You don’t need to include every single accomplishment in your work history – but you can break them up between the bullet points and your body paragraphs. Don’t feel limited by just including accomplishments in previous jobs. The bullet points section is a great place to mention any awards or honors you received. 3. Show off your knowledge about the company. Researching the company before applying to the position is a given. If you want to truly impress the hiring manager, use at least one fact about the company and how it caught your attention. Don’t know where to start? Researching the company before you write the can give you inspiration of what to discuss in the cover letter. Here, the candidate compliments the company, but the research they did about its work culture shows they care. In addition, the research they did gives more reasons why they want to work there, based on their shared work values. At the end of the day, the hiring manager wants to know you’re sincerely interested in the company, so this is why research is crucial to a successful letter. 4. Make a confident conclusion. There are tons of ways you can approach cover letter writing. Using our tips and example above, you should have more ideas on how you can make your own and catch the employer’s attention. If you’re pressed for time, we also have a custom builder that will help you construct a cover letter in no time. Good luck!